In some monarchies, sovereign's birthday is an official public holiday. 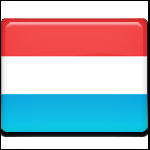 For example, Grand Duke's Official Birthday is the national day of Luxembourg. It is celebrated on June 23 each year regardless of the actual birth date of the current Grand Duke. The Grand Dune of Luxembourg is the monarch of Luxembourg. The first Duke of Luxembourg was William I. His actual birthday was August 24, but the official birthday was celebrated on April 24. His successor William II was the first monarch of Luxembourg whose actual and official birthdays were celebrated on the same day. It was December 6. The sovereign's birthday was declared the national day of Luxembourg in 1947. As then-reigning Grand Duchess Charlotte was born in January, the celebration was often spoiled by bad weather. That is why in 1962, the date was fixed on June 23, the name day of Charlotte's son Jean, the heir apparent to the throne. If June 23 falls on a Sunday, the celebration is moved to June 24. The celebration typically begins on the eve of the holiday with a torchlight procession. On June 23, numerous festivities are held. They include a military parade, a salute by 101 cannons, concerts and a firework display. Official ceremonies are attended by relatives of the present monarch.